In recent times, Medical Alert scams have gained in popularity as thieves think of new ways to target seniors citizens. The scheme goes like this: your elderly parent may receive an innocent telemarketing call from an automated recording promising a free medical alert device. The recording may even say that a family member, friend or doctor has actually signed them up to receive this free emergency monitoring device. Then they may be prompted to press a number to speak with a customer service rep. That’s where the life alert scam comes in. The “customer service” rep is specifically after your personal information such as your credit or debit card and even your bank account number. They claim to need the information in order to process your “free” medial alert device. Or they may claim they need it for monitoring fees. Either way, it is more than likely the scam artists need it to commit identity theft. An even more aggressive form of medical alert system scam phone call is when a caller will tell you that you’ve already ordered a device and there will be legal action if you do not pay. According to the BBB, a new twist in the scam is callers offering $3,000 in “food savings certificates” to be used in major grocery stores as an added bonus to the free medical alert device aka life alert system. 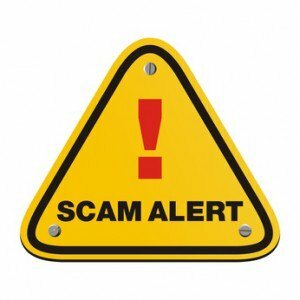 States that have been hit hard by these scams are Michigan, New York, Texas, Wisconsin and Kentucky but they can happen no matter where you live. Don’t let your loved ones be fooled by this scam. Here are some helpful tips on how to avoid or report these scammers and protect yourself. That old saying “there’s no such thing as a free lunch” applies here. Just remember, if it’s too good to be true, it probably is! Never provide personal information such as your social security number or bank information over the phone to ANY unsolicited callers. Sign up to the National Do Not Call list to avoid unwanted callers by visiting DoNotCall.gov. If you do feel like you’ve been target by a medical alert device scam, file a complaint with the Federal Trade Commission at FTCComplaintAssistant.gov. Spread the word! Knowledge is power so do your best to tell others about medical alert device scams so they do not fall victim to identity theft. See if there’s a medical alert review on the company to find out how they’re rated. If you are in need of a medical alert device, don’t rely on the companies coming to you. Instead, compare all the latest medical alert systems and read reviews at Medical Alert Advice.